We’ve been so overwhelmed with the kitchen remodel lately that we’ve officially snapped and taken up knitting. 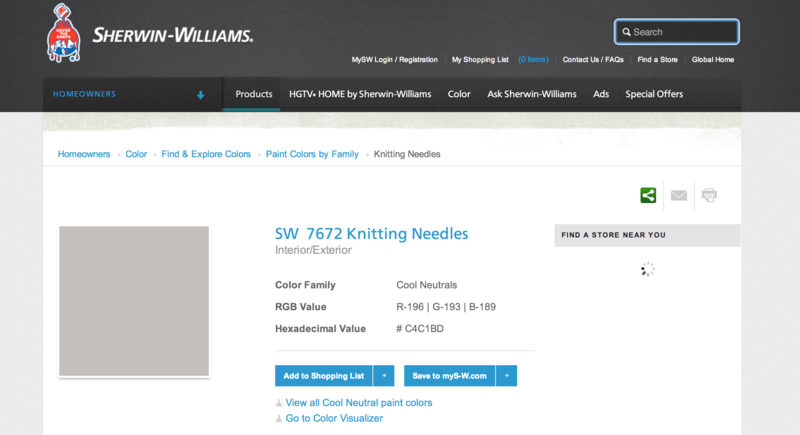 Knitting Needles that is! Before we could install the lumber boxes we had to wait for the room to be painted. Now, usually we would paint (and by we I mean Katie because I hate painting) but there is so much to do in this kitchen that we made this our one effort to remove a single step from our plates. The majority of it was completed in a single day (last Saturday) with about a 20 minute spillover into Sunday. I’ll take it! 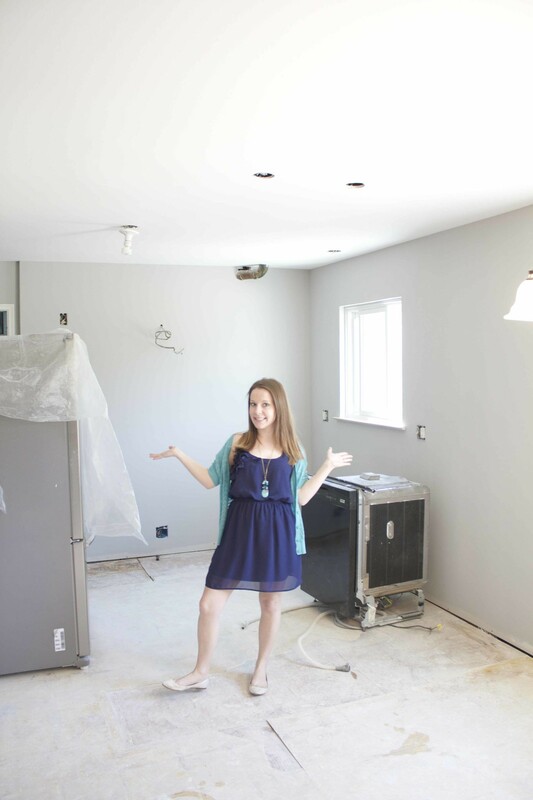 Katie was so excited that it was now ready for us to begin installing cabinets that she did this little dance. Although there will be a lot of wasted paint (i.e. 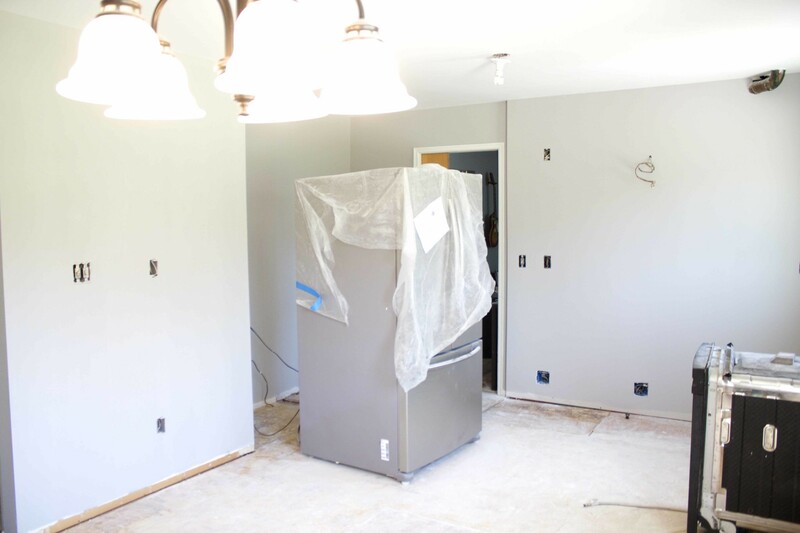 behind cabinets or tile) we thought that painting before would be the best, seamless, and easiest route. We can always touch up after the fact (when I inevitably scratch the wall…). 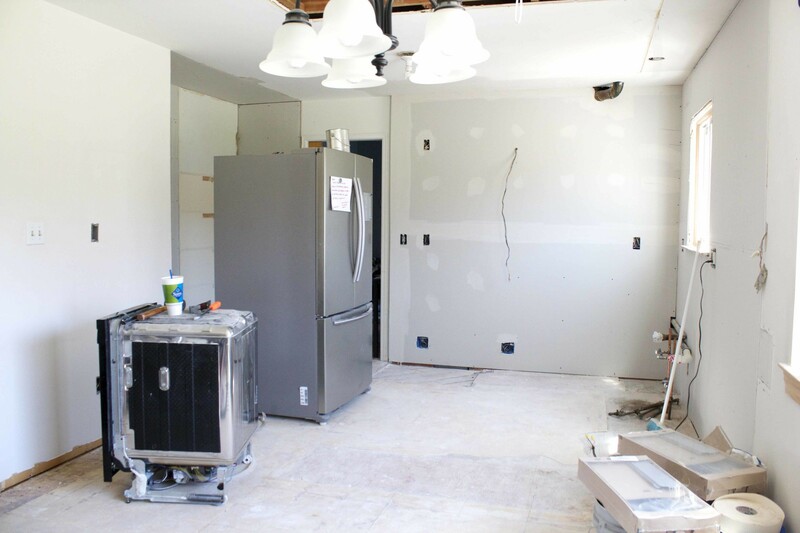 While you’re waiting, check out how we got here: The First Plan, The Revised Plan, The Delivery, And So It Begins, Upper Cabinets, Counters, lower cabinets, oven, half wall, the list, drywall, last second changes, lumber box. how exciting! Can’t wait to see the final product! Thanks Becky 🙂 I can’t wait either!!! Thanks! We dig it! — Same color we did our office (which we’ll get to posting one of these days).